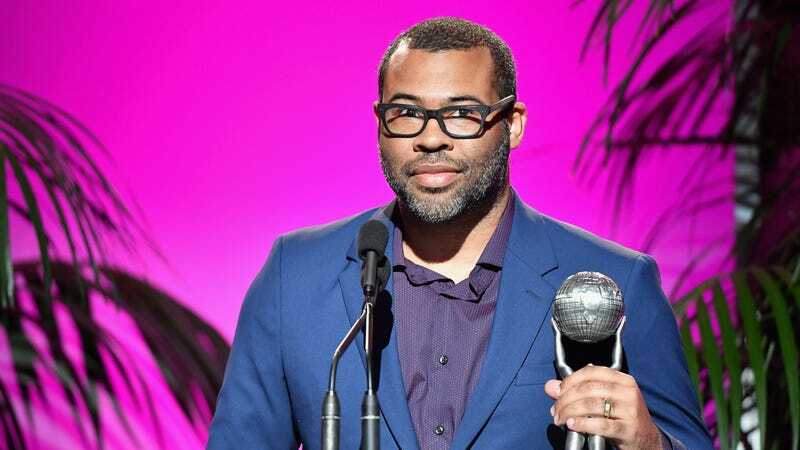 Jordan Peele is done with acting: "Daniel Day-Lewis and I are both out"
Peele got his start in the world of sketch comedy, appearing on shows like MadTV, Comedy Central’s Chocolate News, and his own Key & Peele. He and his regular comedy partner, Keegan-Michael Key, made a single movie together, the crime spoof Keanu, before Peele set out to direct his extremely successful first major solo project. Peele has acted a bit since Get Out arrived, but mostly from behind a microphone; he voiced a character in this summer’s Captain Underpants movie, and is a recurring voice on Nick Kroll’s Netflix series Big Mouth.